When traveling with kids, you hope they will appreciate culture as much as you do. You also, when they are young, hope they will remember what they have experienced. 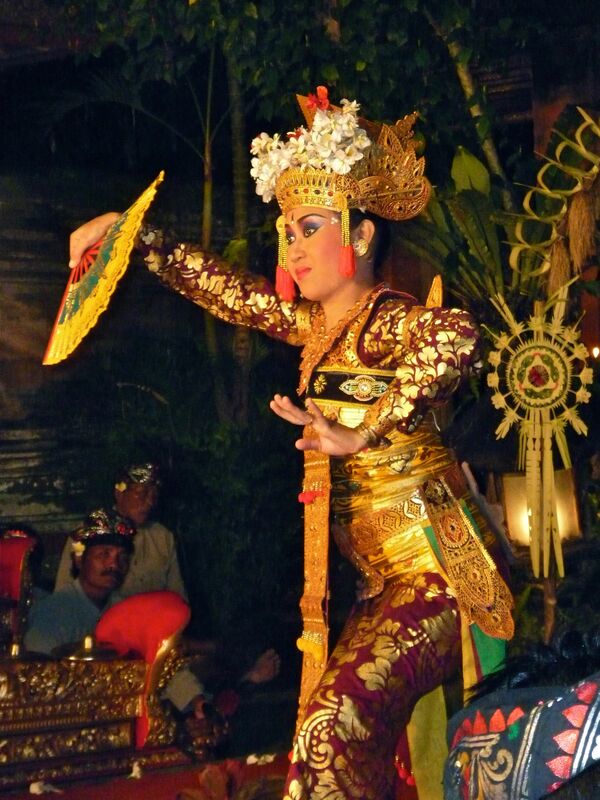 In 2010, the beautiful dances of Bali, in particular, Legong Dancing, definitely made an impression on my daughter Kasey. 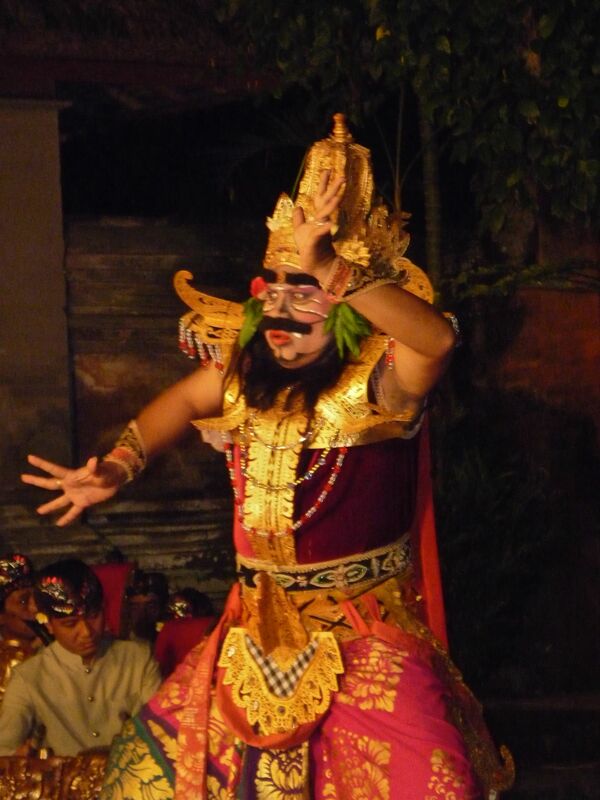 We went to a show in Ubud that was spectacular. Then, little did we know, we would see more Legong dancing in several restaurants (geared for tourists). The striking music always caught our attention — especially Kasey’s. She would look around and wait for the princesses to come out. For her, these beautiful princesses, who were unlike the Disney princesses that she loves, captivated her even more. The music that complements the dancing so well also stuck with her. Kasey meeting some of the dancers at a restaurant in Jimbaran. I ended up going on stage to learn some moves and I took Kasey with me. It was a thrill for both of us. The dancers asked us to help hold up a sign at the conclusion of the show. 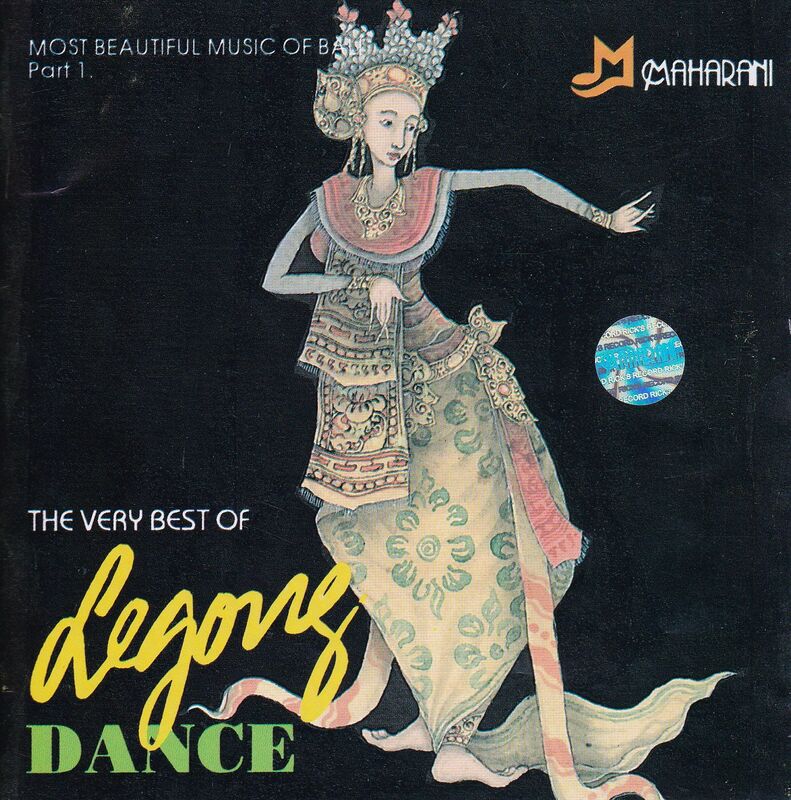 I bought a CD in Sanur and then played it when we returned to Adelaide, where we were living. Even Kurt and Eddie would practice the moves with us and try to re-create scenarios we had seen. 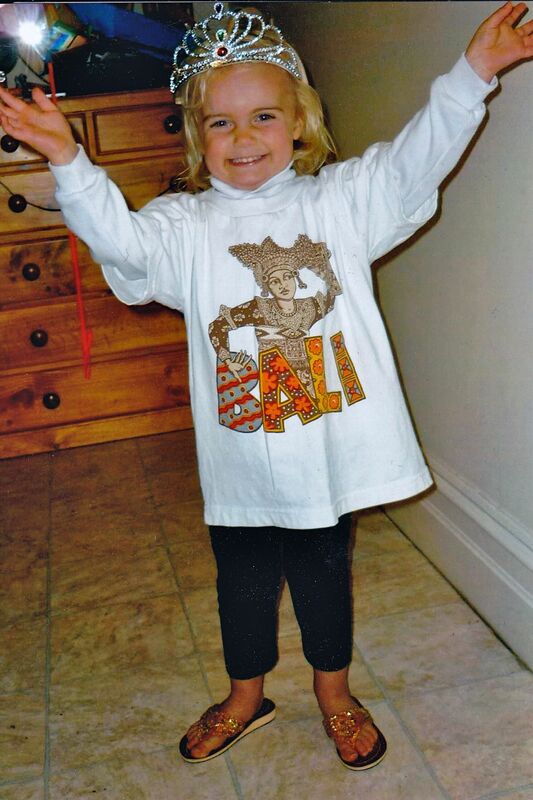 Kasey put on her Bali sandals, T-shirt and a tiara from one of her princess costumes. Even two years later, she will listen to the CD and say, “Mom, remember the princesses and the “Big Guy”? Music, of course, is always such a good instigator of memories, too. 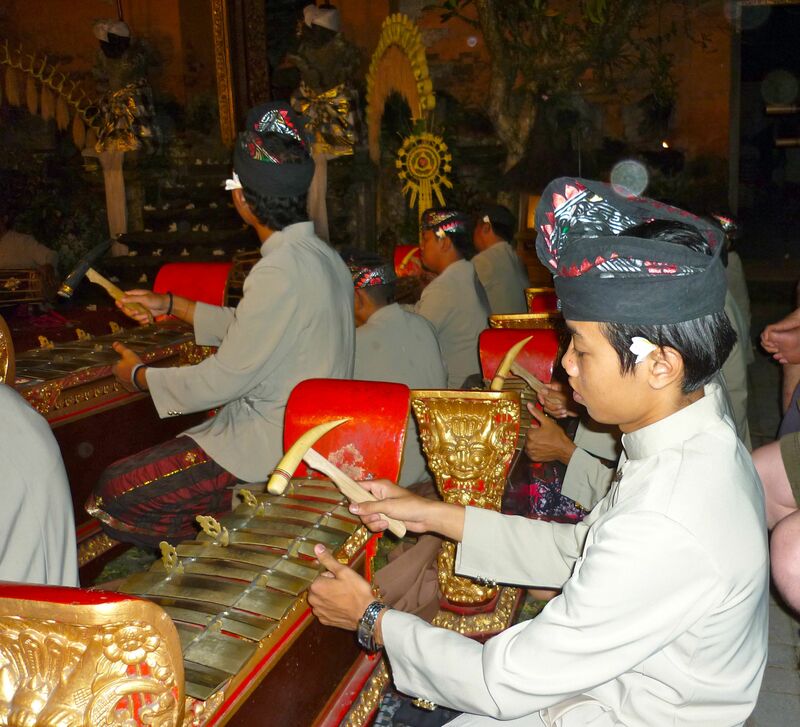 This entry was posted in Asia, Culture, Family Travel, Indonesia, Travel and tagged Bali, Legong Dancing, princesses by stephglaser. Bookmark the permalink. What a great post! A part of culture absorbed and carried throughout the years, how nice to read something like that most specially from a child! How incredible! I absolutely love the picture of your daughter with the dancers who are reaching out to her! To me there are few greater gifts than the gift of culture and experiences that broaden the mind. How lucky she is to have a mommy like you! What a wonderful experience for your kids to have! I hope they remember it.